The above info came from Julie Tran, and was edited by yours truly (contact me). The image came from Splashmovies. Basara is a great, well written story by Yumi Tamura. The anime series is incomplete at 13 episodes, which only covered 5 of the 27 volume manga series. Many people who are interested in the art of anime will be turned off by this series because the animation is not the best. However, if you are looking for a great storyline with beautiful wonderful characters then this is the series for you. Basara is the story of the child of destiny. It takes place in the future after a massive war or wars has turned Japan into a desert. This child will be one one to deliver Japan from the tyranny of the emperor and his 4 heirs. This child begins a journey away from the village after a tragedy and begins his/her destiny, meeting new followers along the way while battleing fears and a great love. 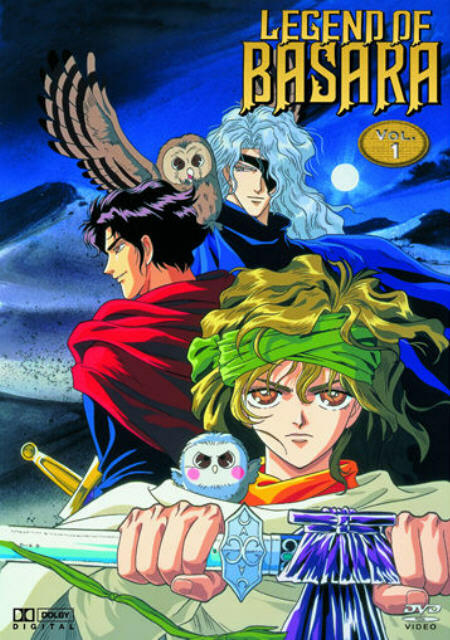 For more information visit http://www.slumpy.net/basara/, as this site is the most comprehensive for the series, anime and manga. The above description came from Julie Tran, and was edited by yours truly (contact me).